FREE 3 Valley ski pass worth 291 euros for the group leader for any week left available for season 2019. Chalet Anastasia was converted from a barn in 1974 and in 2009 was given another complete makeover. The chalet is now luxuriously finished in true Alpine style with natural wood to walls & ceilings and elegant furnishings featured throughout. On the ground floor in the entrance hall there are heated boot warmers, a coat cupboard and a W.C. The lounge is divided into a quiet area around the open fire with a separate area with television, the dining table has places for ten persons and the kitchen area has been fitted with all modern appliances. On the first and second floor are six bedrooms, three shower rooms, three W.C.’s and a sauna. The chalet is only 20 metres from the free bus stop. The free bus journey takes just 5 minutes to get you to the fast golf chair lift in Meribel Village and then a further 4/5 minutes to Meribel Chaudanne. Alternatively there is car parking at the Chaudanne, Le Raffort & Meribel Village, however, it is usually possible to ski back to the chalet along the scenic red “villages” piste. You are able to drop off all of your luggage and equipment at the chalet and there is ample free parking close by in the village. Our ‘Top Tip’ is to hire ski lockers in Meribel, the lockers are right underneath one of the main gondolas in Meribel Chaudanne. This means in the morning you can go up to Meribel in your normal shoes, change into you ski equipment and off you go, all very easy. After skiing change back into your shoes and either go home or go for a wander around Meribel, have an apres drink, maybe go swimming or ice skating. We think this is a great option if you have children. The lockers cost 50 euros for the week and can take 3 skis and boots per locker and 72 euros for a 4 person locker The room is very well heated and there are heated boot warmers for all the boots in the lockers. 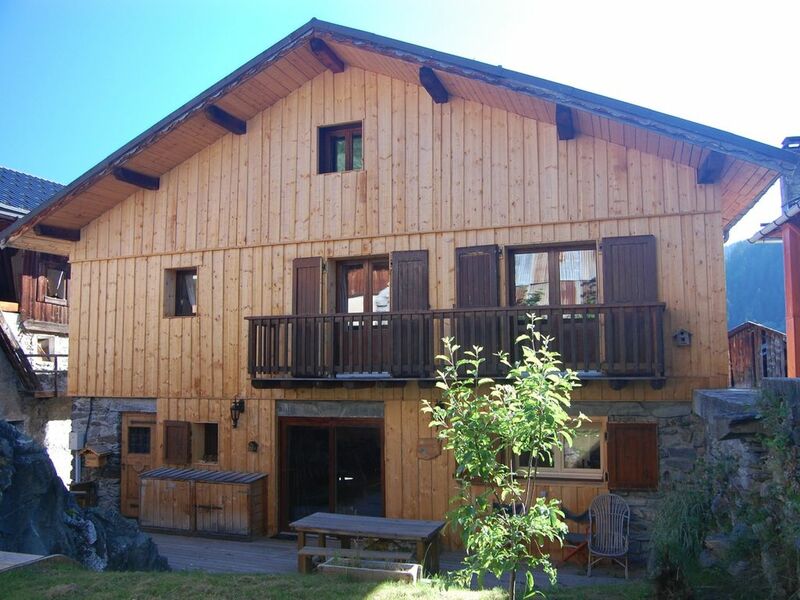 Please note that this chalet does have steep and shallow stairs, perhaps not ideal for the very young or the very old. This chalet and its prices are for self catered, However we can also caterer in this chalet, we have a great team of chefs who will make the holiday that bit more relaxing, please enquire for a price. Meribel is situated at the heart of the wonderful Three Valley Circuit. Access to the ski area is easy by the free bus service which stops about 50 meters from the chalet. The free bus journey passes through Meribel Le Raffort, where you can get on the "Olympic gondola" taking you to Le Chaudanne, Meribel Village, where you can get on the "Golf" high speed chair lift to the nursery areas, or after just 12 minutes the free bus arrives at Meribel Chaudanne where there are five different lifts to start from. Let us assist with all your requirements for transfer to resort, ski hire, obtaining lift passes and choice of ski schools.